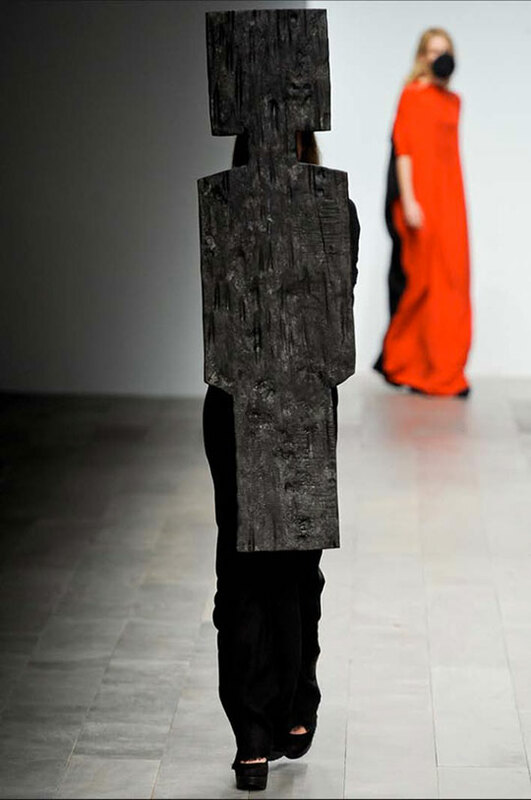 Atopos cvc has the pleasure to inform you about the Han Nefkens Fashion Award 2012 and present you the announced prizewinner, designer Rejina Pyo. Rejina was recommended by Vassilis Zidianakis, Artistic Director of Atopos cvc and selected by a special jury composed of Viktor & Rolf, Penny Martin, Han Nefkens and José Teunissen. ‘Structural Mode’, her new commissioned collection, will be exhibited at the Museum Boijmans Van Beuningen, Rotterdam, from 29th September 2012 until 20th January 2013. The exhibition is part of the ‘Design in Boijmans’ program. The Han Nefkens Fashion Award is part of H+F Fashion on the Edge Foundation. An initiative of writer, benefactor and art activist Han Nefkens and fashion expert José Teunissen, the Foundation’s mission is to support fashion talent working on the cusp of fashion and art. Rejina’s work has been included in the ‘ARRRGH! Monsters in Fashion’ exhibition at the Benaki Museum, Athens and will also be on show in the next stop of ARRRGH! at la Gaîté lyrique, Paris.